"Some of the most interesting things you will do will start by accident"
For me, developing the thinking around the carbon landscape has been surprising, challenging and interesting in equal measures. The carbon landscape is a term I first published in 2004 when I started to look at the carbon impacts of landscape architecture from design and implementation to maintenance. The carbon landscape research started after criticism of my judging and decision making around the NZILA 2004 sustainability awards. That year I made the decision not to give out the award that year and gave a speech as to why. In 2018 I think there would be few who would disagree with the decision but in 2004 it started a heated dialog within the industry which eventually lead to the rewriting of the sustainability design awards criteria to being more rigorous. 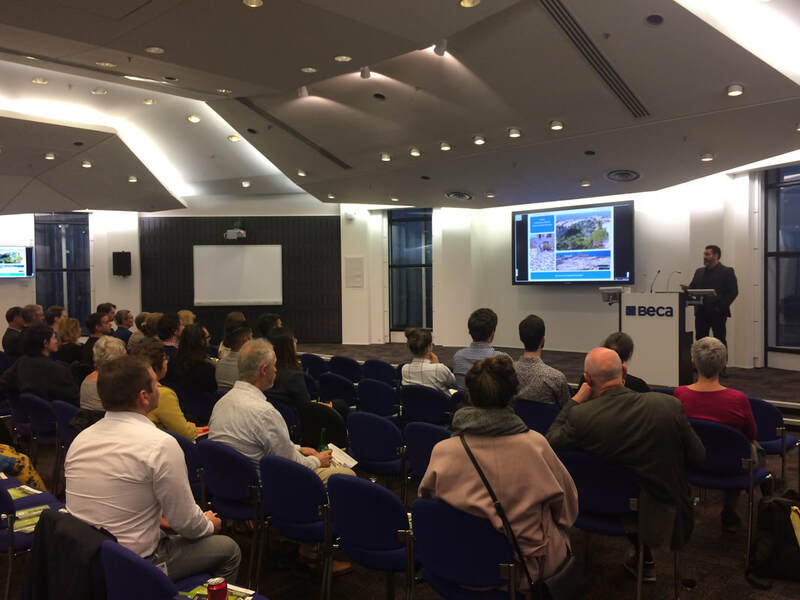 Some of the criticism was directed at the idea that there could be any negative impacts to what we do as landscape architects, that we only do good for the environment and the communities we work for. I knew from working with New York Architects and London engineers on a project in India that it was possible to calculate the carbon footprint for a building from the materials used to its energy systems and surmised that you could do the same for a landscape. Using my own career as the example I worked with university students to develop a very conservative carbon footprint for 14 years of projects that I had been involved in and then calculated the possible carbon offsets from planting design. This was my attempt at transparency of a professional carbon footprint using my own career as an example. What I expected to find was that I would be carbon positive or at worst carbon neutral as a landscape architect. It turned out my career had run up a carbon cost of about 1,100 tons of carbon dioxide per year and that number was most likely to be on the conservatively low side. The carbon impact of my work had been significant and impossible to offset with planting. In my mind I had not done a lot of material heavy projects such as large scale urban projects, the real carbon footprint of a landscape architect is likely to be a lot higher than 1,100 tons a year that I had calculated. The bulk of the carbon costs were in the materials we specified not in the ways we ran our design firms or transportation. I presented the results at the 44th IFLA World Congress in Kuala Lumpur, Malaysia in 2007 to a very quiet room, no one asked a question following the presentation, an hour later I was asked to present the paper again to a crowd with standing room only, to date it is the only presentation in IFLA history to be presented twice at the same world congress. Since 2006 I have continued to develop the thinking around the carbon landscape which has been presented internationally, to the design industry, material industry, government organizations, published in multiple languages and won a number of awards. In 2015 I was awarded a NZILA fellowship for the work on the carbon landscape for its contribution to the industry and in 2016 I was place on an IFLA advisory panel to advise on the impact of landscape architect on climate change. I have lived and worked extensively in New Zealand, Australia, Jordan, Palestine, India and the United States working as a landscape architect, urban designer, planner and teacher always with a focus on sustainability. My work often focused on applying the collective knowledge of traditional and contemporary sustainable practices from the places that he has lived and worked. 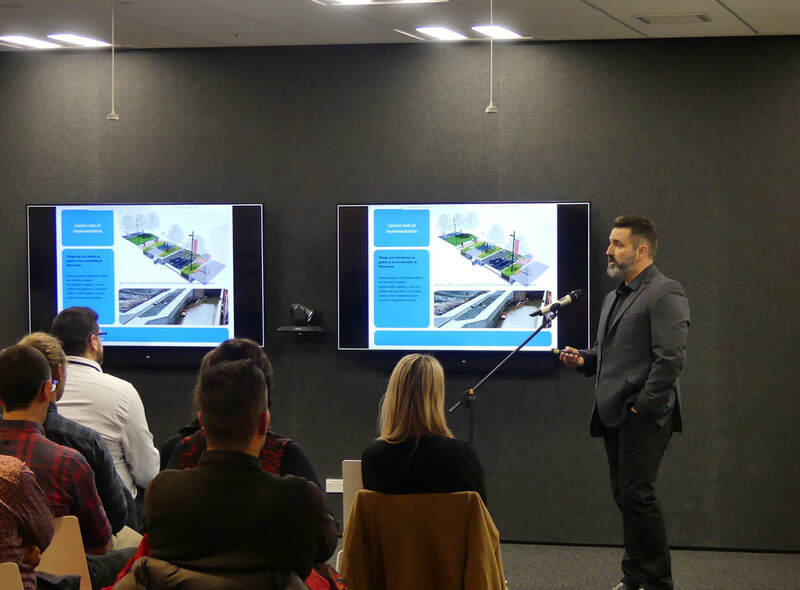 As part of professional development I undertook extensive research on the subject of sustainability and the carbon impact of design, implementation, management and urban renewal and published and presented internationally on the subject. In 2013 the New Institute of landscape Architects award the research the NZILA Sustainability Award of Excellence. The research and work also lead to the NZILA awarding Craig the honor of "Fellow of the New Zealand Institute of Landscape Architects" in 2015. Craig was nominated to a role on the International Federation of landscape Architects Advisory Panel in 2017 as an expert in sustainability and climate change. He has been involved in teaching at Philadelphia University, Yale University Schools of Architecture and Lincoln University on the subjects of cross-cultural design and sustainability. In 2016 Craig moved his family out of the post earthquake rebuild of Christchurch, New Zealand to San Antonio, Texas where he continues to work as an independent designer and develops the research, publishes and presents on the carbon landscape.